With its 6.6 million downloads and nearly that much Online Stores, WooCommerce is the perfect low priced and easy to use solution for building professional and most importantly profitable Online Store in just few cliecks. Thanks to the open source nature WooCommerce comes absolutely free for all of its users and at the same time it provides Enterprise level of service when it comes to the security, extensions and other key features you will need to rely on when taking your first steps in the Online business. Due to the same opensource nature, the plugin gets regular updates and support which you can rely on each day. 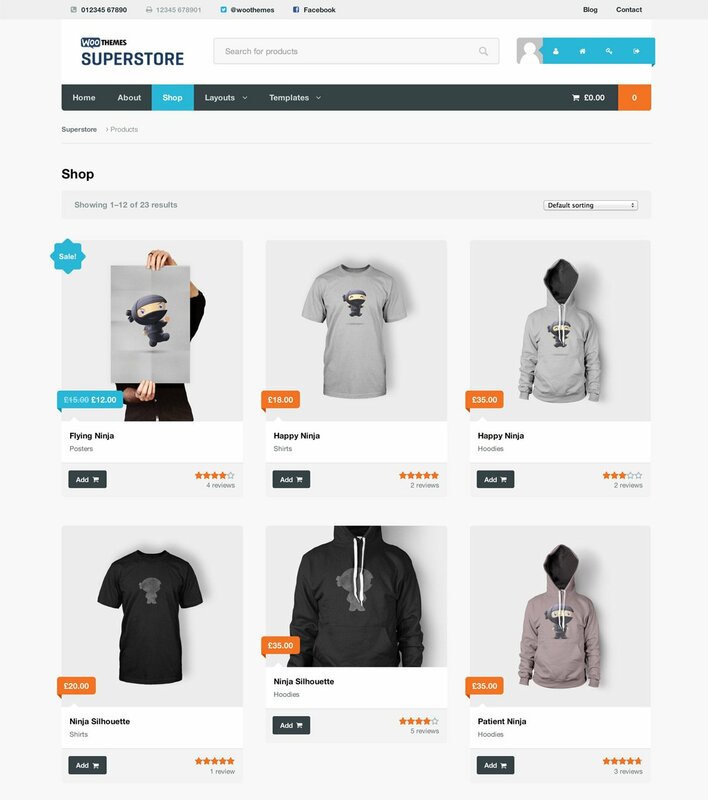 WooCommerce is maybe the most easy to use Online Store management platform around the globe due to its flexibility, easy to follow customization and most importantly the large variety of plugins you can take advantage of. Since this is a Wordpress plugin you will get the usual top level of user experience provided by Wordpress but this time mixed with a little taste of E-Commerce magic developed by the WooCommerce authors – WooThemes. With all that being said you should be able to understand that there is No Codding involved by the end user. In simple words you do not need to poses coding knowledge in order to get a fully functional online store. That is correct – everything you need can be managed within the integrated admin panel of the WooCommerce plugin. Payments – The core and most important functionality provided by WooCommerce. The plugin comes with preinstalled PayPal, BACS, and Cash on Delivery payment methods which you will be able to configure without any additional installation on your Online Store. Shipping – The plugin provides a large variety of shipping options which you will be able to configure once installed. No code editing needed or any specific information. Pure, easy and rational. Inventory – Easy to manage product inventory thanks to the incredible WP centric UI. On the fly editing of products and all the configurations related to certain product. Reporting – WooCommerce provides all of its users with great reporting tools presenting different reports about the statistics of your Online Store conveniently structured in beautiful graphics. Taxes – Integrated Tax system will take care for all that percentages in the local tax rates and tax classes. In our WooCommerce tutorial series we will review all of the features integrated in the plugin and also we will provide you with quite a lot of how-tos so you can find everything you need at one place.